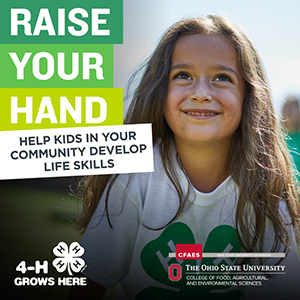 Staff members of the Ohio State University Miami County Extension Office work with Regional and State 4-H Professionals to deliver a wide variety of youth services to residents of Miami County. The local 4-H office is located in Troy, Ohio in the old Miami County Courthouse. Explore this website to learn about how YOU can become a 4-Her! Office is closed daily 12:30 p.m. - 1:00 p.m.